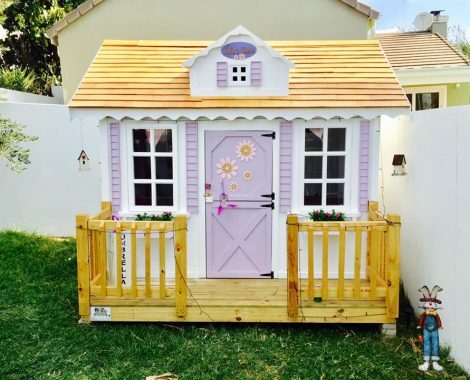 Playhouses - Big and small Our playhouses are for all! 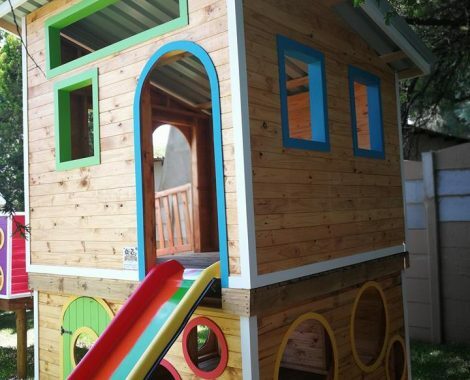 We only make use of the best A-grade materials for our houses. 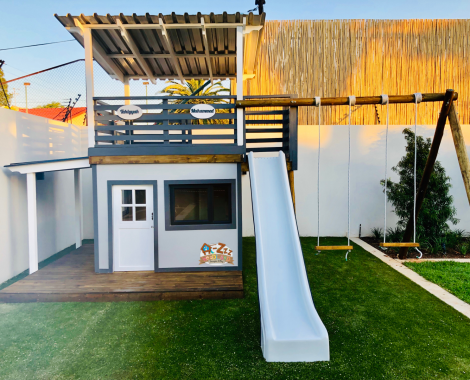 The decks we build use 38/114 S5 CCA treated Structural wood for the base and SABS 20mm CCA non slip decking wood, which is treated with our Silkwood exterior sealers. 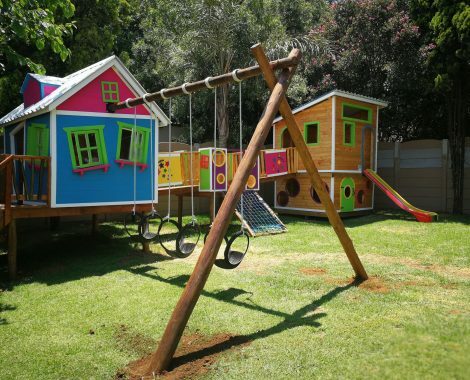 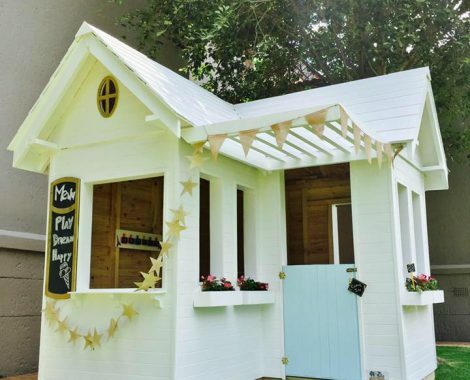 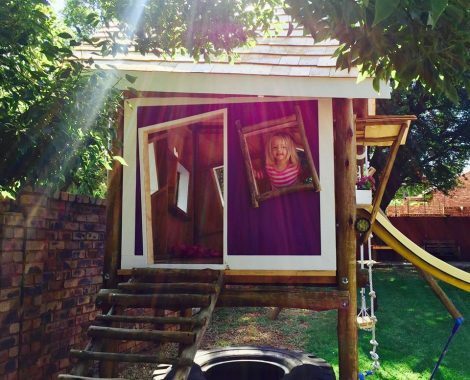 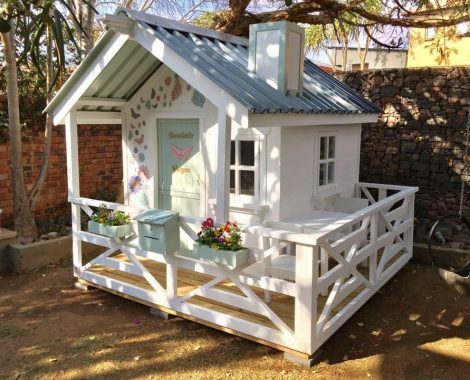 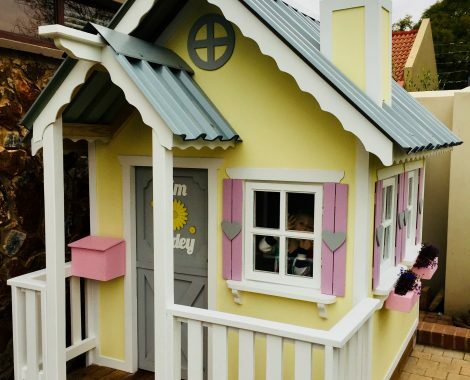 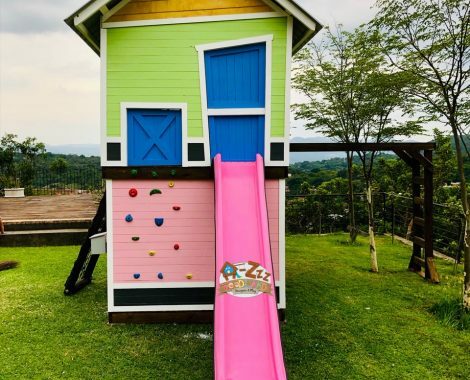 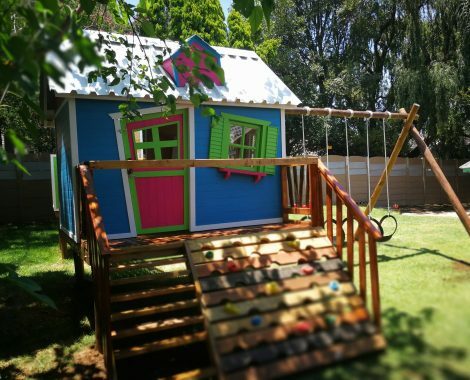 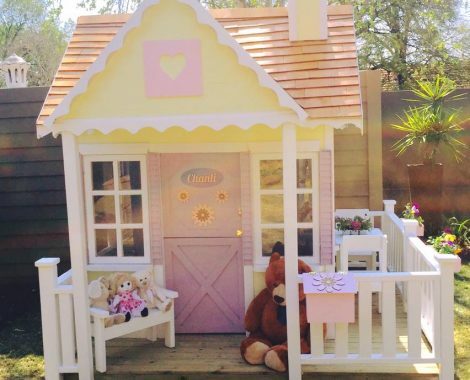 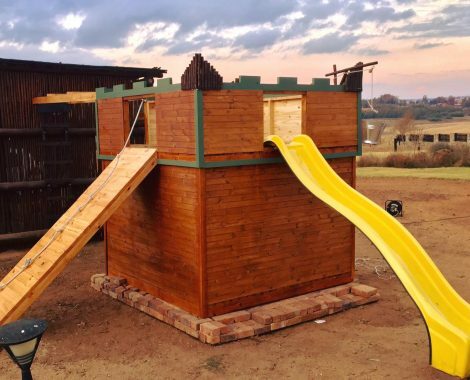 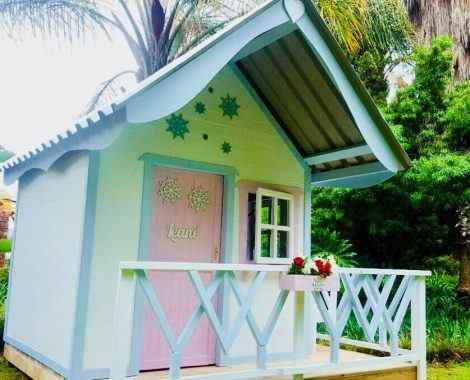 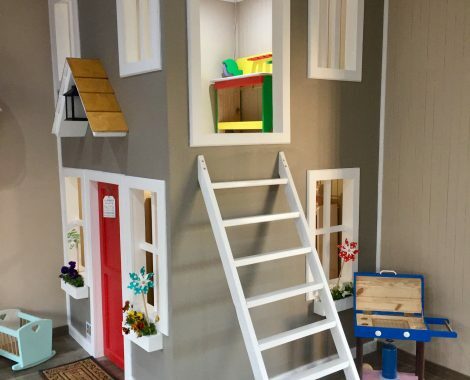 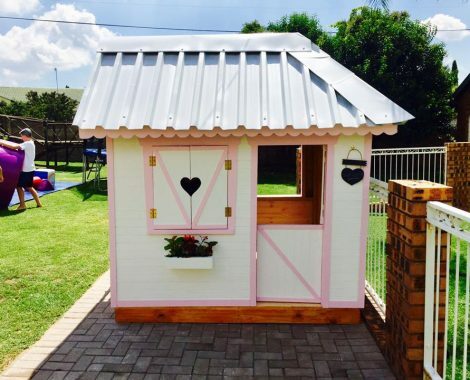 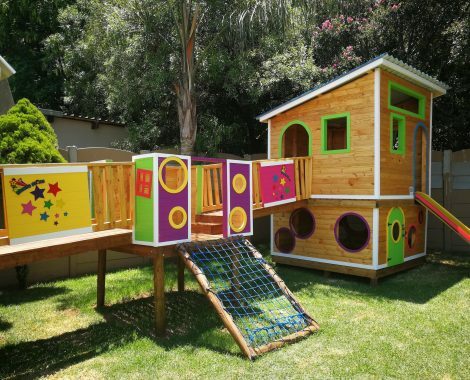 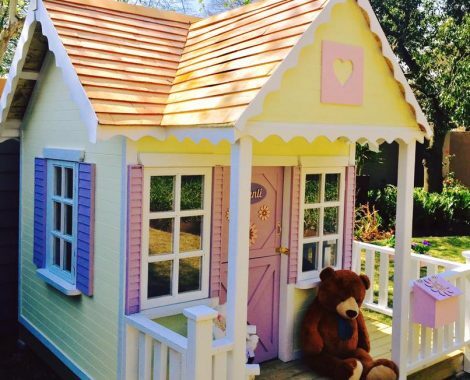 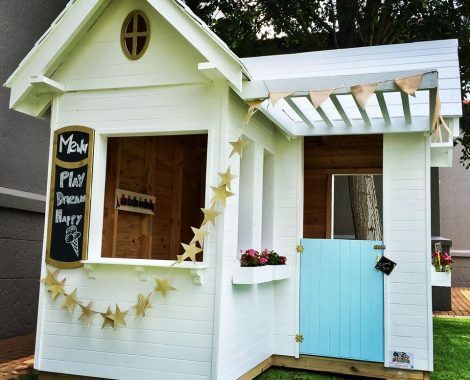 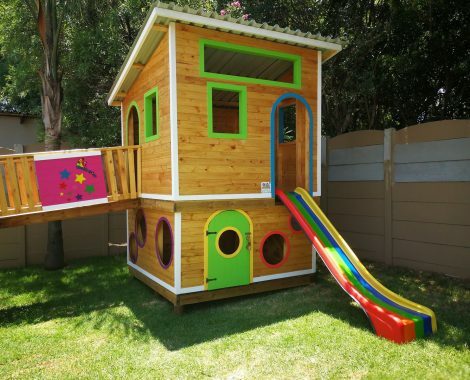 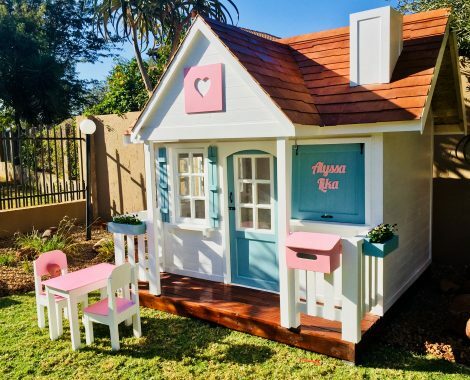 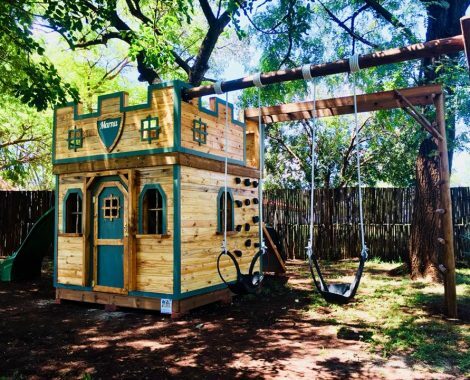 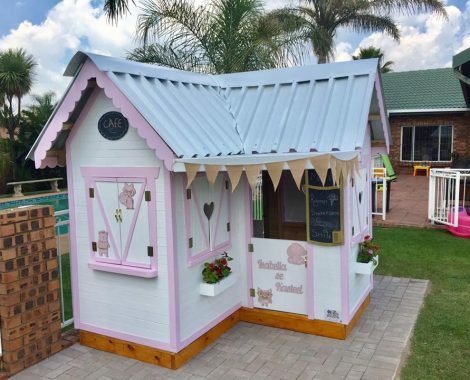 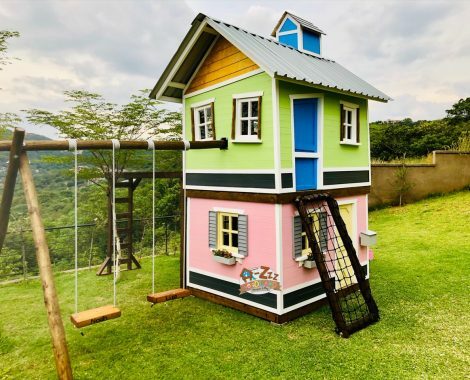 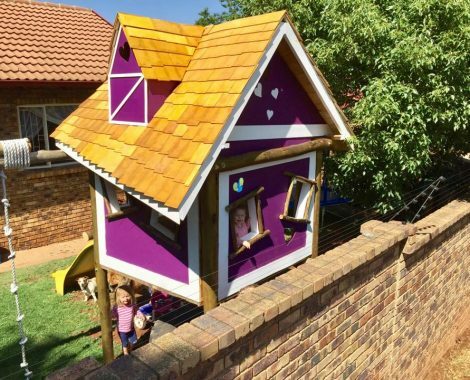 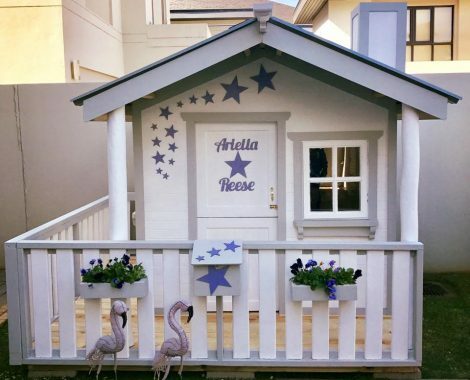 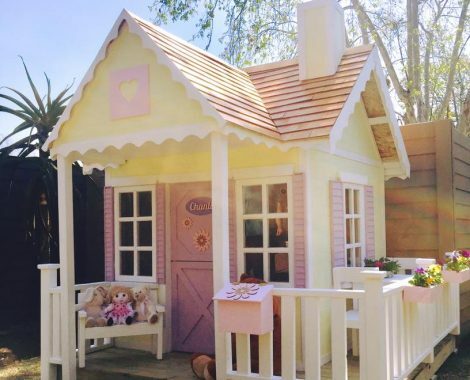 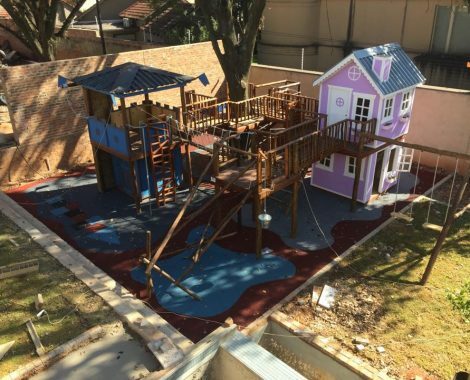 Our playhouse/treehouse is build from 38/76 S5 Structural wood and is cladded with Wisa Spruce Ply, which is a high quality light weight material made from Spruce trees and We use Wisa Birch Plywood for our wall and window finishes, this product is manufactured of birch veneers imported from Finland. 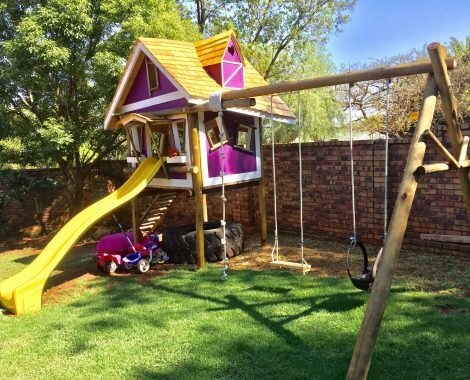 Veneer layers are glued together with weather resistant glues which prevents any delamination of the veneers. 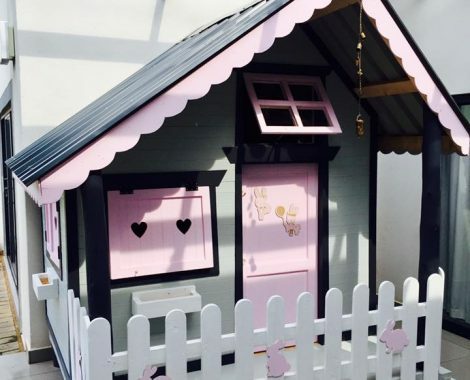 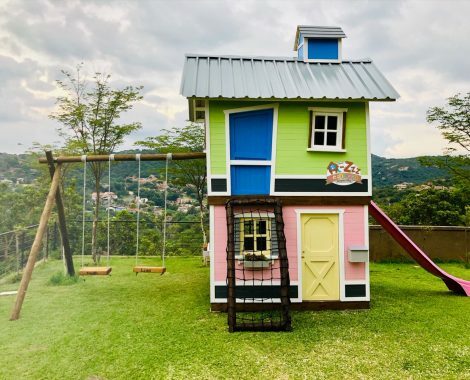 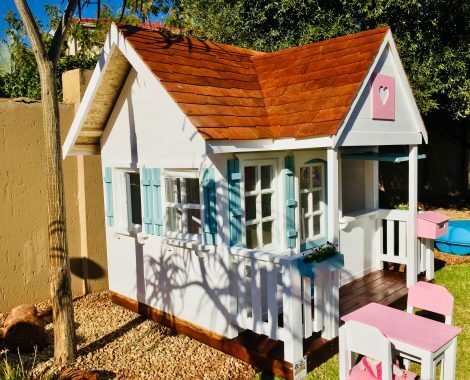 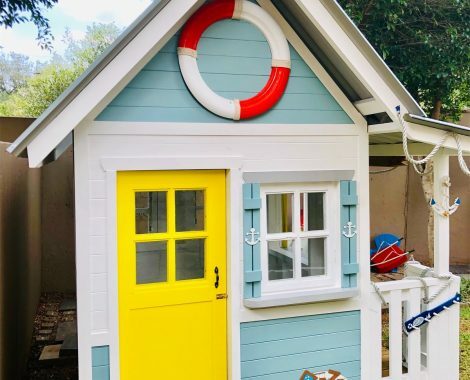 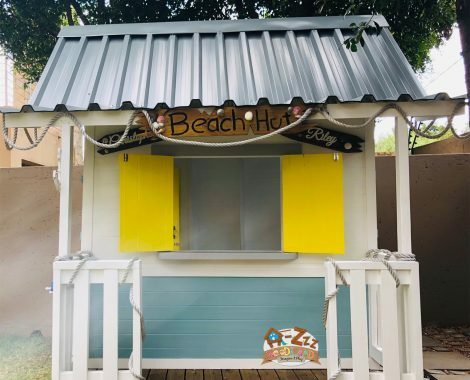 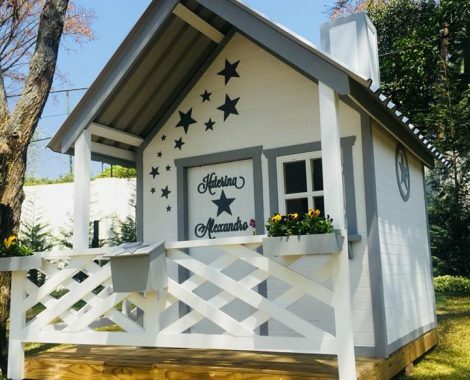 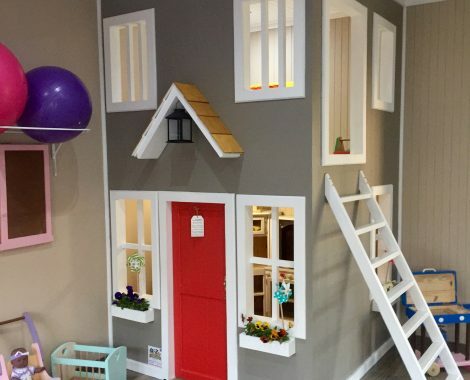 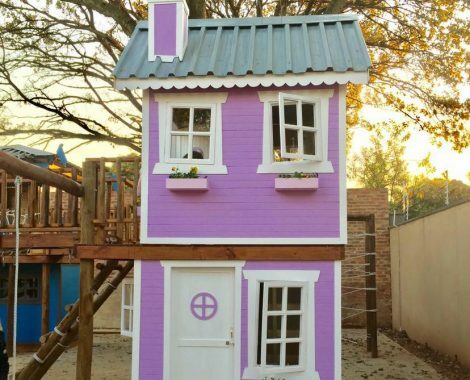 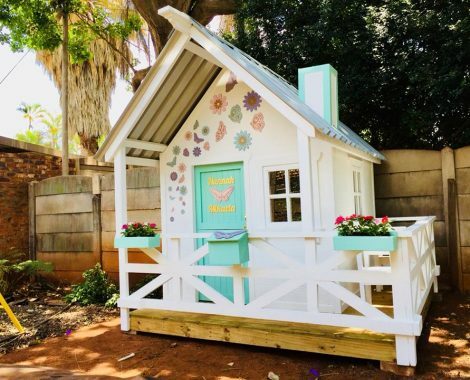 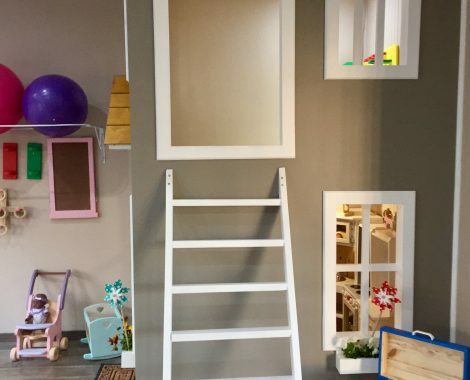 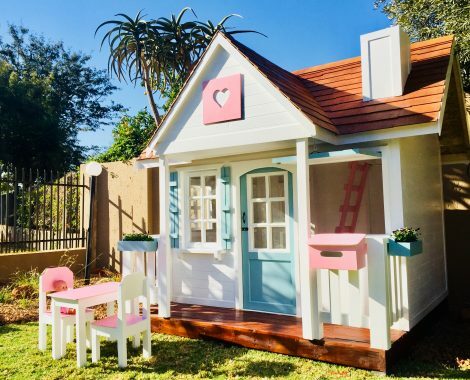 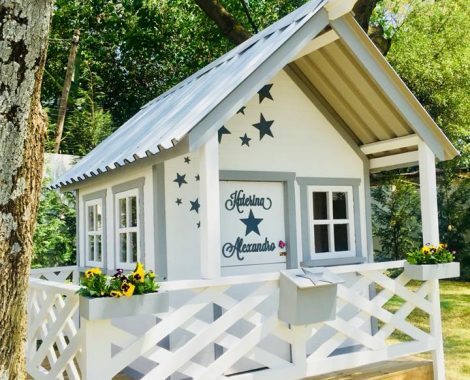 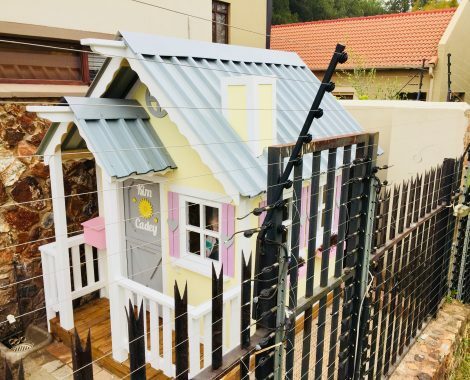 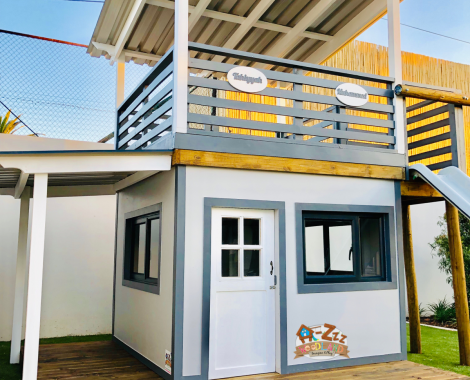 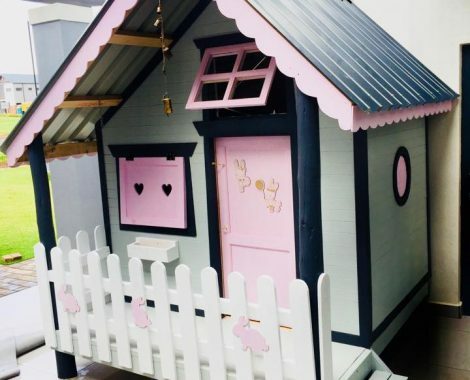 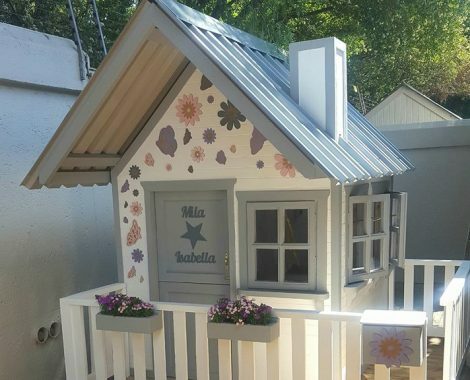 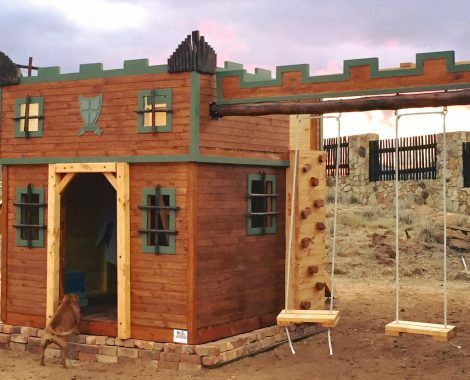 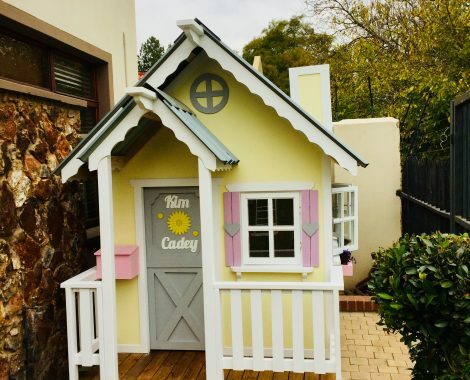 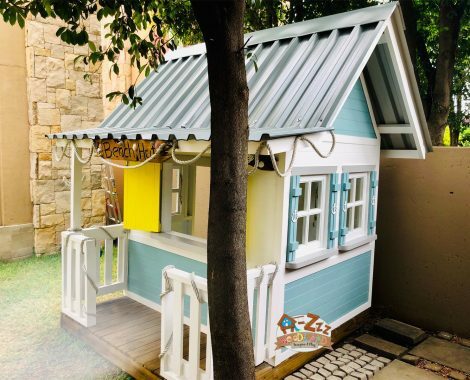 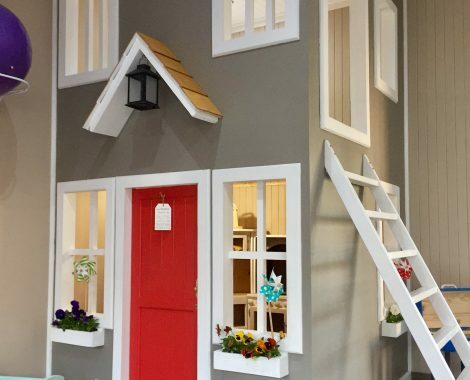 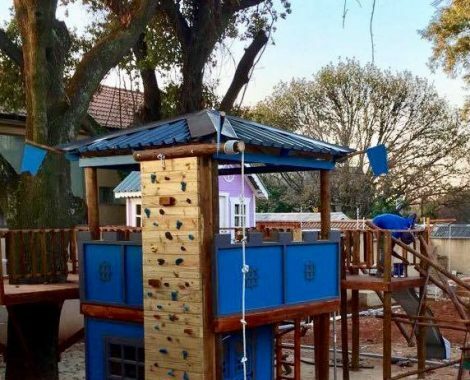 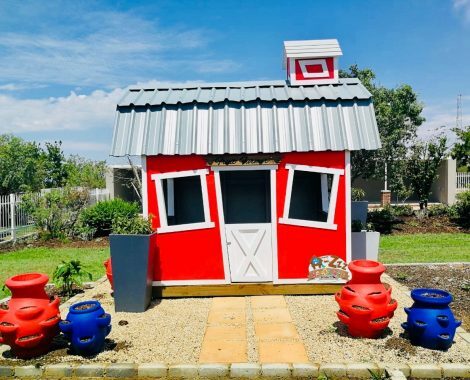 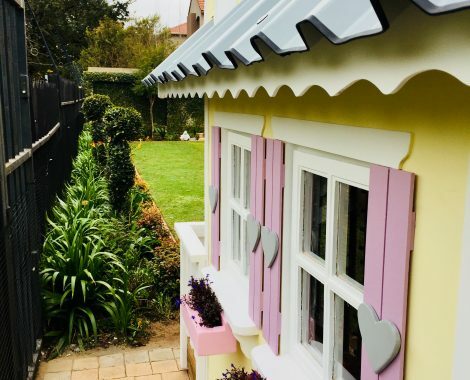 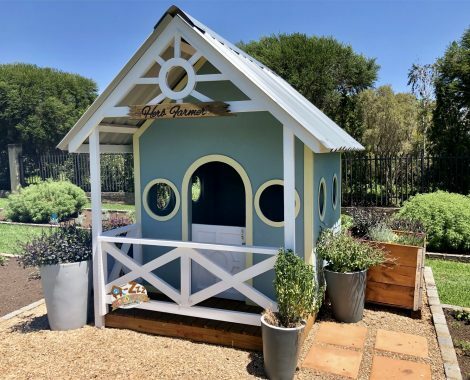 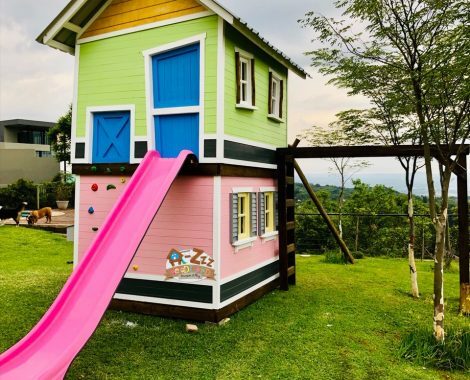 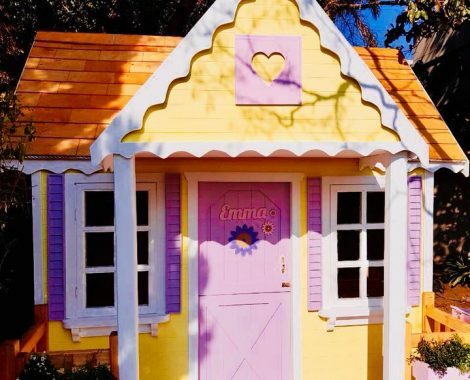 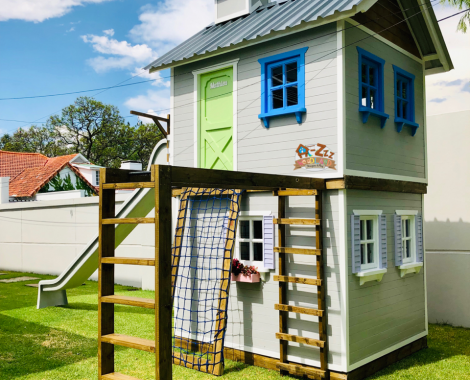 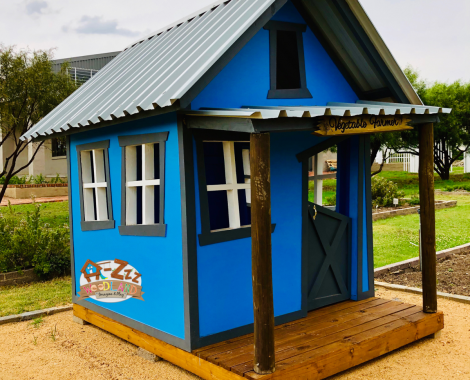 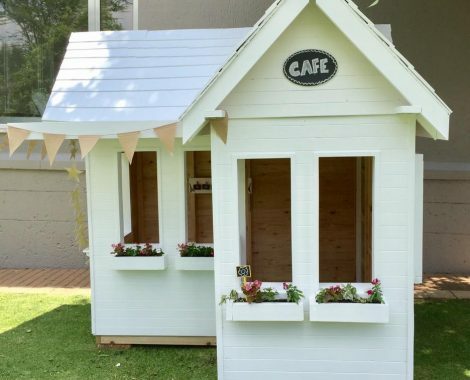 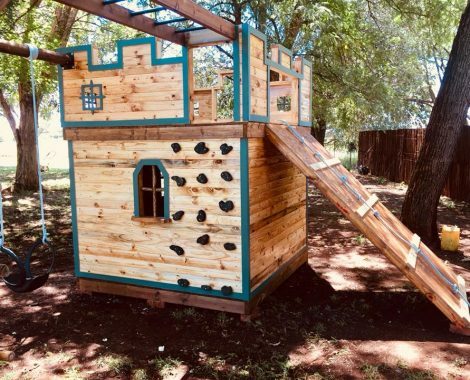 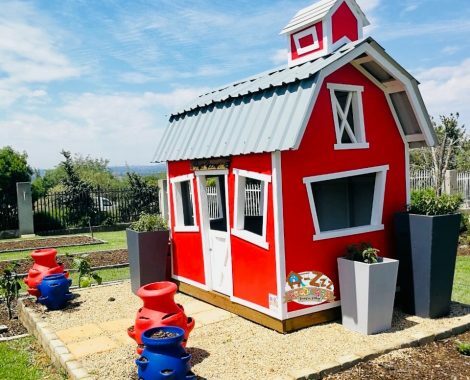 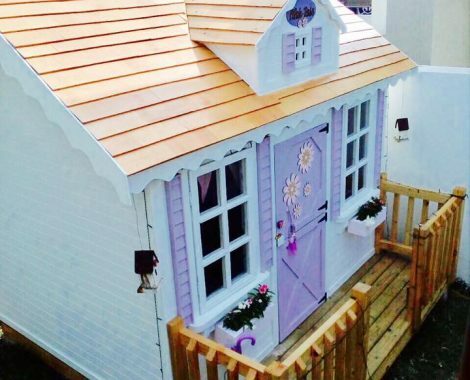 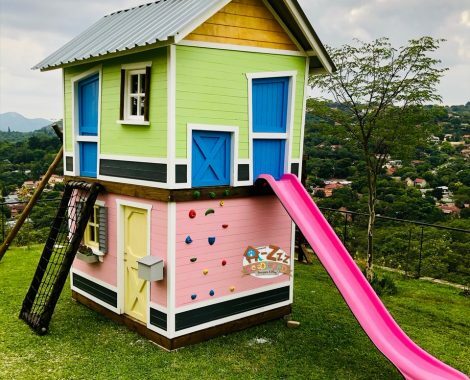 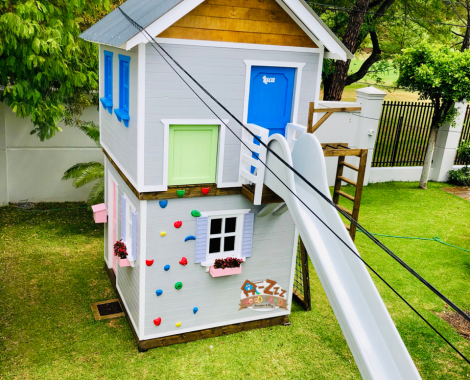 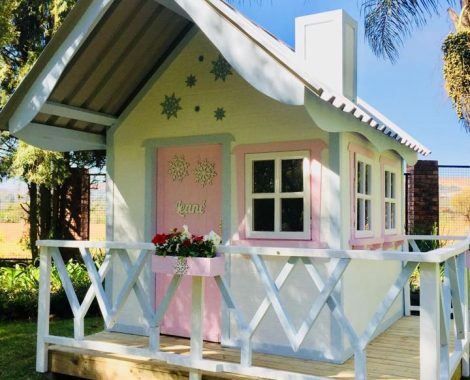 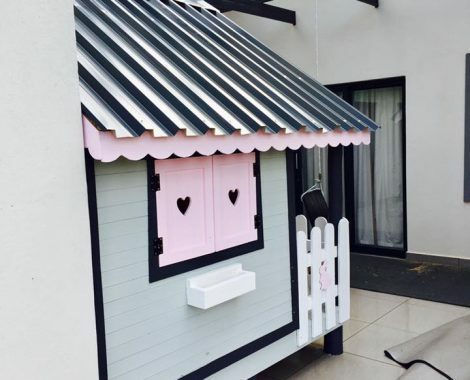 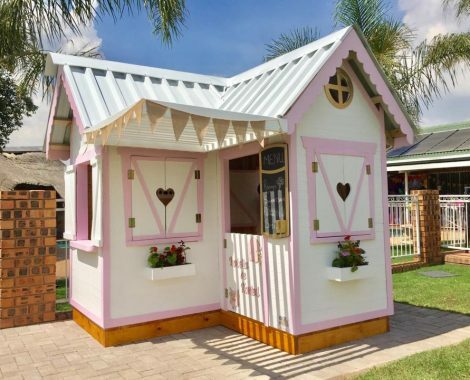 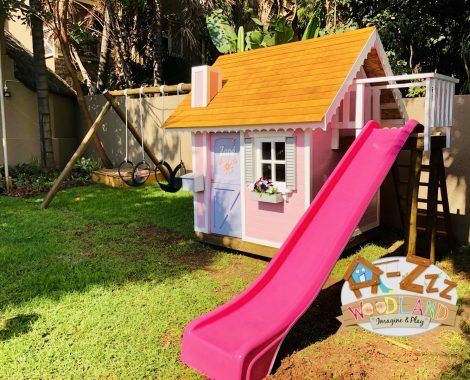 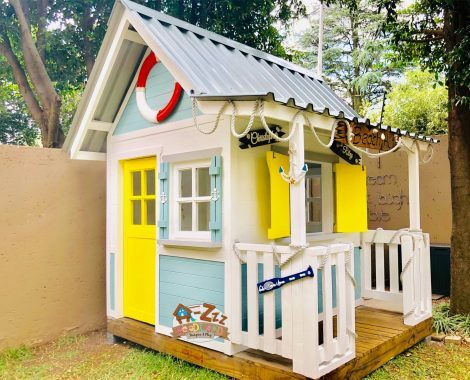 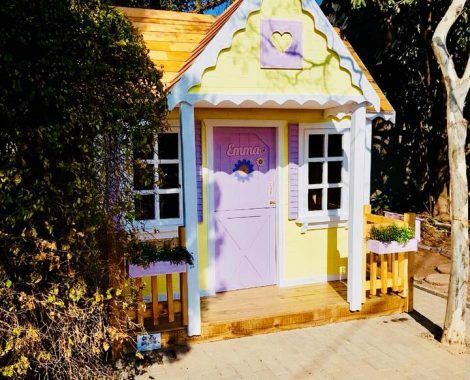 This all gets treated with a Waterproofing primer for all playhouse/Treehouse, where after it is triple coated with our Elegant Coat Exterior paint. 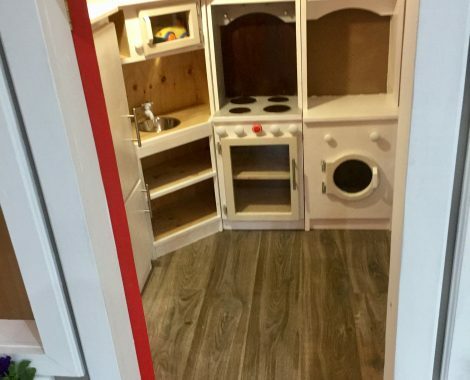 2 small Chairs, small Table & painted on the inside. 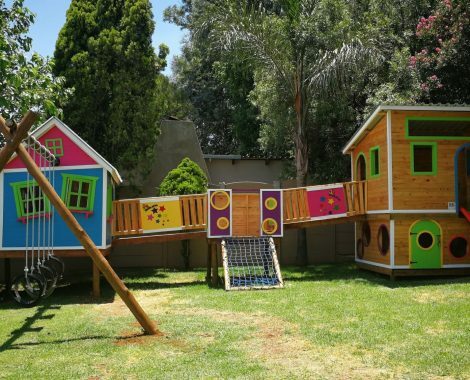 Please request for more details on size and set up. 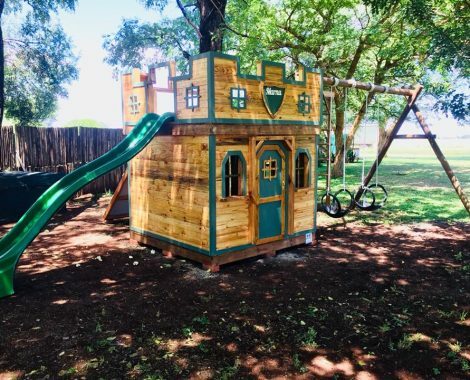 We can build anything to you size. 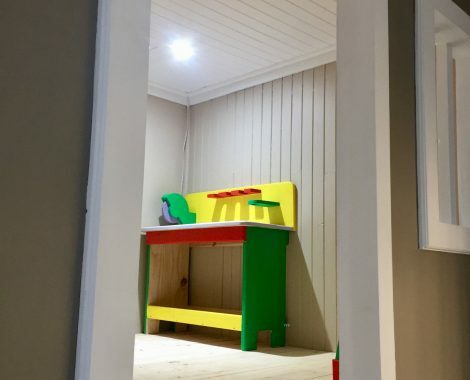 Painted inside, 2 chairs and table, small bench. 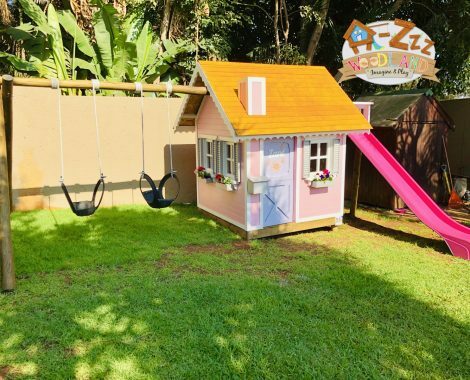 2.4m x 2.4m Deck with 60cm veranda front and right side. 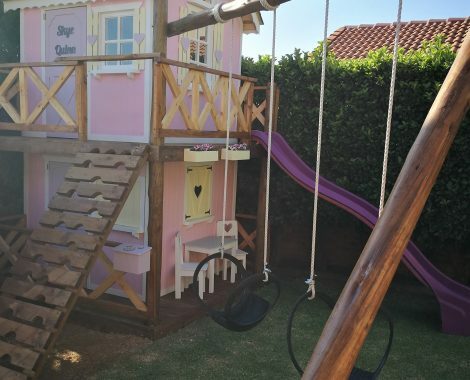 Climbing wall, 2 x swings, slide, storage unit, 2 x chairs and small table.